The Cha Cha group offers a safe environment at all of our meetings and activities. This means that we are free of violence, threats of violence and sexual harassment. Please be aware that we meet in a smoke free park and pets are prohibited. Please turn off or silence your mobile devices during the meeting. 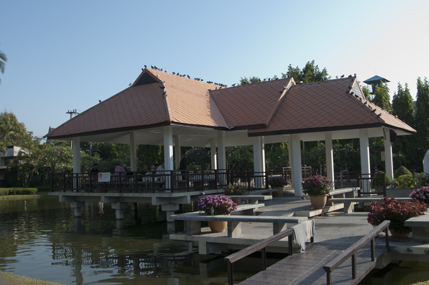 We meet at Suan Buaak Haad park in the covered pavilion on the pond. The park is located across the moat from Suan Prung Psychiatric Hospital on the corner closes to Airport Plaza (inside old Chiang Mai Moat). The Saturday meeting is a Leader Choice meeting. On alternate weeks Living Sober meeting, the others are a topic discussion meeting.